Celeb Digs - Liam Payne Buys $7.8 Million Dream Mansion In The U.K.
http://www.celebdigs.com/celebrities/liam_payne/liam_payne_buys_7_8_million_mansion_uk_photos_010715.php Liam Payne Buys $7.8 Million Dream Mansion In The U.K.
One Direction singer Liam Payne may only be 21 years old, but he's now snagged himself a home that most people would have to work 10 lifetimes to afford! 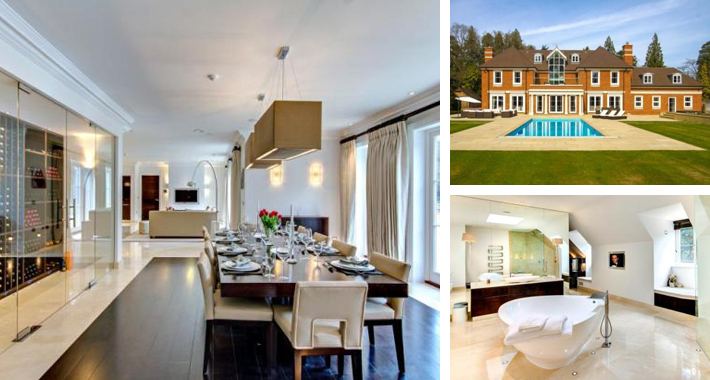 The pop star plunked down a whopping $7.8 million on a 10,373-square-foot compound in the English countryside, and from the pool to the ballet studio to the 700-bottle wine cellar, this home has everything. There are only 5 bedrooms and 5 bathrooms, but there's a tennis court, a movie theater and a giant terrace. This looks like the sort of place one would want to raise a family, and despite rumors that Payne got a girl pregnant, it looks like this is just going to be a party pad.